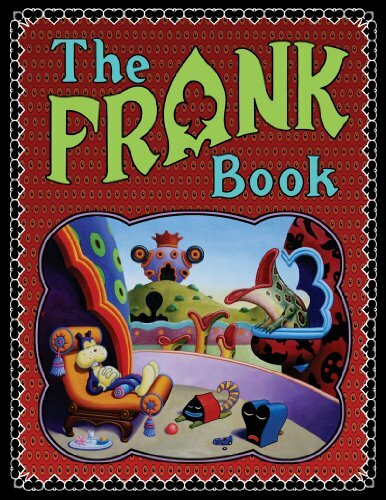 Since 1991, Jim Woodring’s lusciously rendered, hypnotic fables have dazzled readers the world over, and the runaway success of the Frank-co-starring graphic novel Weathercraft and the first true Frank graphic novel Congress of the Animals have only whetted readers’ appetites for more. In honor of Frank’s 20th anniversary Fantagraphics is re-releasing the massive, long out of print Frank Book omnibus, which collected all the Frank material up to the mid-aughts, including several jaw-droppingly beautiful full-color stories, literally dozens of lushly-delineated black-and-white stories, and a treasure trove of covers and illustrations. The Frank Book also features an introduction by one of Frank’s biggest fans (himself a Frank, or almost): Francis Ford Coppola.